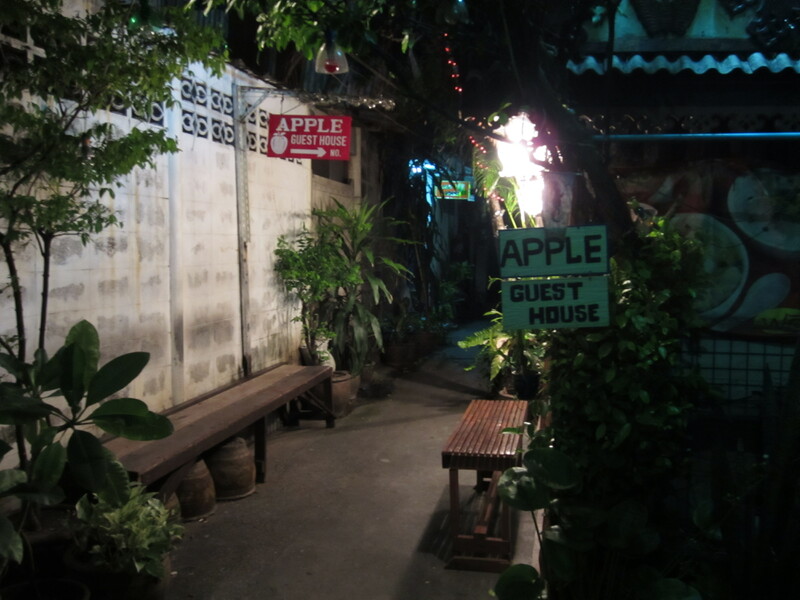 Apple was run by Mama, the owner, who rolled over in her hammock to grumble a “hello” at me as I lugged my bag upstairs. The dorm was an eye-poppingly cheap 70 Baht per night ($2.30AUD or something! ), and I had the dorm room all to myself. It was bare-bones basic. The door lock was just a padlock to fasten a metal latch, and the door didn’t even close. The hotel was entirely of a dark, almost black wood, with low beams like a basement that caused me to walk around hunched to avoid hitting my skull on the ceiling. The shower and toilets were shared and on a different level to my room. Jeff recommended it because of some interesting characters he met there; during my stay I seemed to be the only guest. That night, I was feasted upon by a ravenous cloud of mosquitos, and even with the strongest grade Tiger Balm I could find, I itched and scratched through the night. 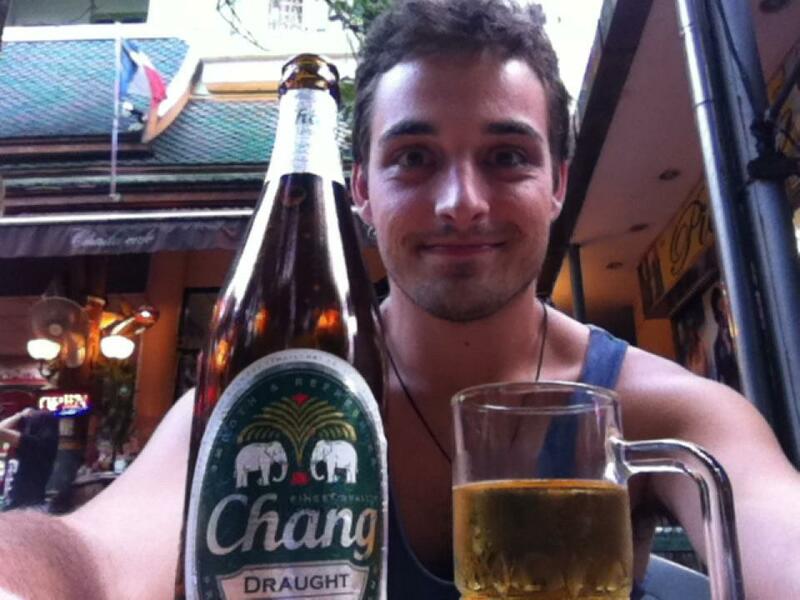 Two nights later I found myself in one of the big Khao San Road hotels. Midnight. I lay on the bed, reading a pirate copy of A Clash of Kings (thinking I was discovering a great new book series, quite unaware of the splash that the TV show was making back home). Excited yells, heated chatter and club music coming from outside reminded me I was on party street. A ceiling fan whirled away, chopping at the stuffy South East Asian humidity. Next door, I began to hear voices, and the conversation sounded interesting; he was from London, she sounded Thai. “You have to leave“, he insisted. “No, let me in!”, she replied. After 20 minutes of increasingly heated arguing, the Londoner was yellingabout calling security, as the Thai girl had somehow gotten into his room with his key and locked him out. There was relentless knocking on the door, he was screaming, and she was crying. I fell asleep, and their fight continued. Khao San Road is an interesting place. Click here for my thoughts on the notorious street. 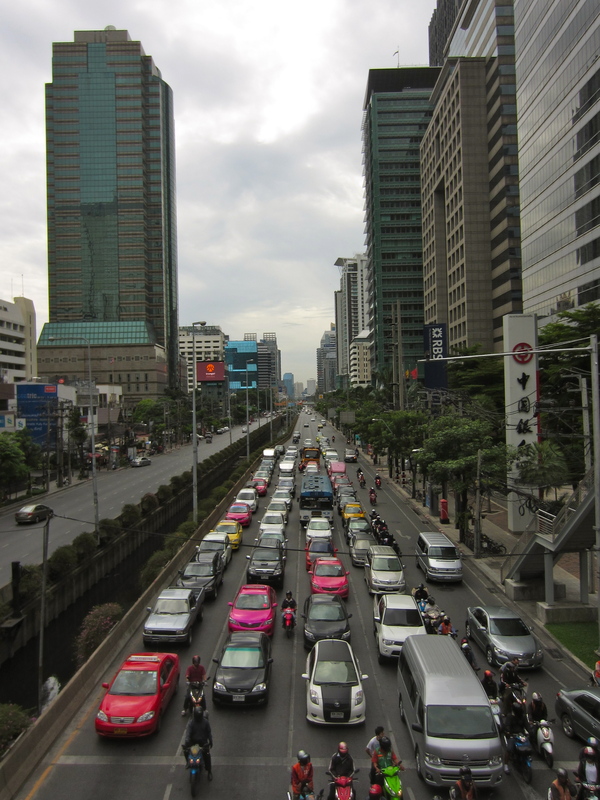 The reality is that Bangkok is a large, busy, and intense city, and staying in Khao San Road can serve as a comfortable base. In 2 months of travel through Malaysia and Vietnam I had never sat on a couch, until I finally found one in Bangkok. So that’s how I spent my days. Watching a movie or two on the couch at the hotel, reading my book, chatting with Cindy online about our upcoming Myanmar adventures, and watching the world go by in this strange corner of Asia.